I mainly talk about aromatherapy, but thought I’d talk about food for a change. I am keen on natural skincare, and tout its benefits. I believe in feeding your skin from the inside out. I also believe in keto diet. Although keto and hair loss are commonly associated, I believe that it is a good dieting method. You might be surprised how beneficial certain foods can be to maintain healthy organs and tissue, and in turn help provide necessary nutrition for supple, vibrant skin. The Ayurvedic diet as followed in India utilizes many spices and foods that offer myriad health benefits, like lowering cholesterol, increasing blood circulation and limiting accumulation of body fat. Here are some of those spices and some of their benefits, along with healthy foods that aren’t always the first choice here in America. TURMERIC is one of Nature’s most powerful healers. The active component, Curcumin, contained in turmeric, is now of great interest in medical research owing to properties that suggest they may help to turn off certain genes that cause scarring and enlargement of the heart. Long known for its anti-inflammatory properties, recent research shows Tumeric to be show promise for a wide range of health conditions, from cancer to Alzheimer’s disease. Regular intake may help reduce low-density lipoprotein (LDL) or bad cholesterol and high blood pressure, increase blood circulation and prevent blood clotting, helping to prevent heart attack. Tumeric is a natural liver detoxifier and when combined with cauliflower has shown to help prevent prostate cancer and reverse the growth of melanoma cells. Call Mantality Health and check it. It is a natural antiseptic and antibacterial agent, useful in disinfecting cuts and burns. It has also been used for centuries in Traditional Chinese Medicine (TCM) for treating depression. Did you know that Turmeric is regarded as a “skin food” in the Indian culture? Tumeric is known to speed wound healing and assists in regeneration of damaged skin. It has shown to be beneficial for psoriasis, for acne and other inflammatory skin conditions. 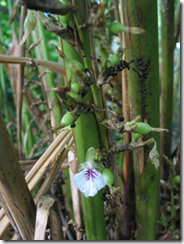 CARDAMOM is the queen of spices who sits next to the King, black pepper. It is one of the earliest spices known, mentioned by Theophrastus in the fourth century BC and five centuries later by Dioscoredes. It is a thermogenic spice like chillies that increases metabolism and helps burn body fat. Cardamom is considered one of the best digestive aids and is believed to soothe the digestive system and help the body process other foods more efficiently. 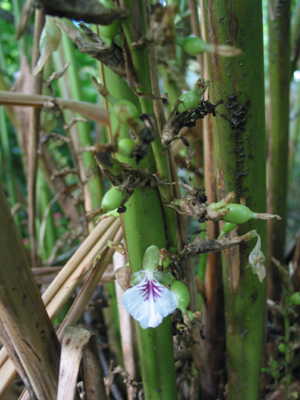 An analysis of the cardamom seed shows it to consist of carbohydrates, moisture, protein, ether extract, volatile oil, crude fibre, calcium, phosphorus and iron. The aroma and therapeutic properties of cardamom are due to its volatile oil, which contain the chemicals cineol, terpineol, terpinene, limonene, sabinene, and terpineol in the form of formic and acetic acids. Cardamom is another spice used to treat depression. It also is useful as an ingredient for gargling for sore throats. Combined with peppermint leaves, a few ground seeds can be boiled in water and drunk to relieve hiccups. A cardamom seed with a small piece of candied ginger is an excellent aperitif to aid digestion. CHILLIES Foods containing chillies are said to be as foods that burn fat. Chillies contain capsaicin that helps in increasing the metabolism. Capsaicin is a thermogenic food, so it causes the body to begin burn calories for 20 minutes after you eat them. Chillies also have antioxidants that will reduce cholesterol, possibly preventing diseases such as atherosclerosis and other heart disease. They are known to give relief from nasal congestion and they help to dilate airways, reducing asthma and wheezing. Chillies stimulate the release of endorphins that are natural pain killers and is helpful to address pain connected to shingles, bursitis, diabetic neuropathy and muscle spasm. By the reports found on the www.NervePainRemedies.com website, chillies are also detoxifying, helping to remove waste materials along with increasing the intake of nutrients. It is especially helpful as a gastric detoxifier that helps in food digestion. Chillies contain vitamin B6 and folic acid. Vitamin B reduces high homocysteine levels, shown to cause damage to blood vessels and are associated with a greatly increased risk of heart attack and stroke. Chili converts homocysteine into other molecules which is beneficial to lower cholesterol level. CORIANDER seed and Cilantro leaves from the same plant have health b benefits, while also being a good source for dietary fiber, iron and magnesium. 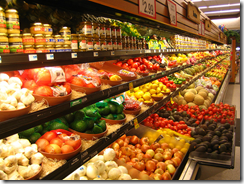 These food additives are rich in phytonutrients and flavonoids. 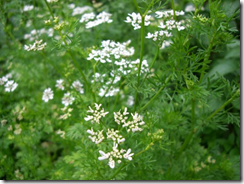 Coriander is anti-inflammatory and therefore helpful in easing the symptoms of arthritis. It can help lower blood sugar, prevent urinary tract infections and lower blood pressure. 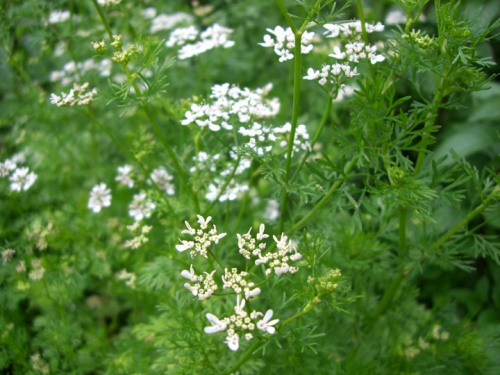 Coriander contains an antibacterial compound that may prove to be a safe, natural means of fighting Salmonella, a frequent and sometimes deadly cause of foodborne illness, suggests a study published in the June 2004 issue of the Journal of Agriculture and Food Chemistry. U.S. and Mexican researchers isolated the compound – dodecenal, which laboratory tests showed is twice as effective as the commonly used antibiotic drug gentamicin at killing Salmonella. GARLIC is a natural antibiotic An effective fat-burning food, garlic contains the sulphur compound allicin which has anti-bacterial effects and helps reduce cholesterol and unhealthy fats. In general, a stronger tasting clove of garlic has more sulphur content and hence more medicinal value. I much prefer using fresh garlic and I keep a refrigerated jar of chopped garlic ready for cooking at all times. Research has determined that there are greater health benefits from cooked garlic, and most of the better garlic supplements are made from aged and dried garlic. Although rare, eating too much raw garlic can cause irritation or damage to the digestive tract. Some people are known to be allergic to garlic; symptoms include skin rash, increase in temperature and headaches. It also could potentially disrupt anti-coagulants, so garlic supplements are best avoided before surgery. MUSTARD OIL: This has low saturated fat compared to other cooking oils. It has fatty acid, oleic acid, erucic acid and linoleic acid. It contains antioxidants, essential vitamins and reduces cholesterol, which is good for the heart. Cardiology research now shows that mustard oil is healthier than olive oil because it has no trans-fats, low saturated fats, high mono-unsaturated fats, high polyunsaturated fatty acids like omega-3, and stability at high temperatures making it an excellent cooking oil. The mustard seeds themselves can be used in a number of culinary dishes. very good source of selenium, a nutrient which has been shown to help reduce the severity of asthma, decrease some of the symptoms of rheumatoid arthritis, and help prevent cancer. They also qualify as a good source of magnesium. Like selenium, magnesium has been shown to help reduce the severity of asthma, to lower high blood pressure, to restore normal sleep patterns in women having difficulty with the symptoms of menopause, to reduce the frequency of migraine attacks, and to prevent heart attack in patients suffering from atherosclerosis or diabetic heart disease. CABBAGE, unfortunately, is often overlooked and misunderstood. While cabbage is a delicious and healthful staple in other countries, it is almost foreign to Americans, with the exception of good old fashioned cole slaw. It is a low-cost, excellent vegetable with a wide variety of uses in stew, soup, hearty ratatouille, salads and other dishes. Raw or cooked cabbage inhibits the conversion of sugar and other carbohydrates into fat. Hence, it is of great value in weight reduction. Delicious new variations of cole slaw made with oil and vinegar are quickly replacing the caloric-ridden version made with high-calorie mayonnaise. Rich in nutrition and fiber, cabbage is an absolutely phenomenal source of Vitamin C. Even more impressive is that cabbage is famous for a specialized, naturally occurring, nitrogenous compound known as indoles. Current research indicates that indoles can lower the risk of various forms of cancer. Modern science has proven beyond a reasonable doubt that the health benefits and therapeutic value of cabbage, which also plays a role in the inhibition of infections and ulcers. Cabbage extracts have been proven to kill certain viruses and bacteria in the laboratory setting. Cabbage boosts the immune system’s ability to produce more antibodies. Cabbage provides high levels of iron and sulphur, minerals that work in part as cleansing agents for the digestive system. Cabbage contains, in addition to high levels of vitamin C, Vitamin E (good for skin integrity) and vitamin B. The varieties of cabbage are many; there is Red, Savoy, Napa . . . and don’t forget Bok Choy with its light, celery type flavor. HONEY, although unlikely, is an amazing home remedy for obesity. It mobilizes the extra fat deposit in the body allowing it to be utilized as energy for normal functions. Honey contains complex sugars and carbohydrates, vitamins and minerals, amino acids and antioxidants. Antioxidants slow down aging by reducing free radicals. A recent study at the U. of California concluded that honey contains as many oxidants as spinach, apples, oranges and strawberries. It is true that honey is calorie-rich and contains simple sugars, and more calories than table sugar. However, according to the USDA Agriculture Research Service, our body tolerates honey better compared table sugar. Eating honey is better for people with diabetic conditions as it is less likely to cause blood sugar spike. Another 2004 study conducted by the University of California found that eating 4 to 10 tablespoons of buckwheat honey per day for one month did not cause weight gain. A simple teaspoon of honey can soothe sore throats in children, although it is not recommended for children under 2 years of age. A study at Penn State concluded that honey did a better job reducing the severity, frequency and bothersome nature of nighttime cough from upper respiratory infection than dextromethorphan or no treatment. A tablespoon of honey with a tablespoon of apple cider vinegar, taken with hot water early in the morning is a tried and true folk remedy tonic for good health. And, another study at the Royal Pharmaceutical Society determined that a tablespoon or two of honey at bedtime can greatly reduce insomnia. Most of us are well aware of the use of honey in skincare products such as masks and baths. WHOLE GRAINS are fiber-rich foods and good sources of complex carbohydrates, vitamins and minerals, as well as important nutrients such as selenium, potassium and magnesium.. Low in fats, most of them absorb cholesterol and help increase the secretion of the bile that emulsifies fats. 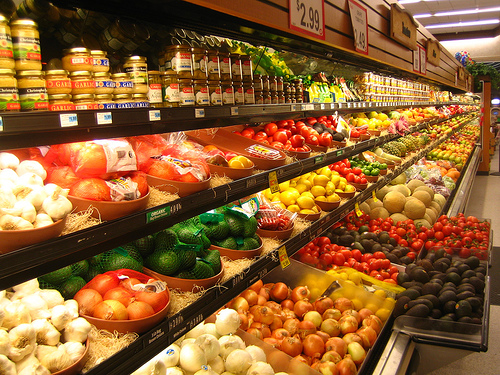 Whole-grain versions of rice, bread, cereal, flour and pasta can be found at any grocery store. 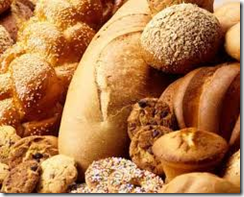 Many whole-grain foods come ready to eat. 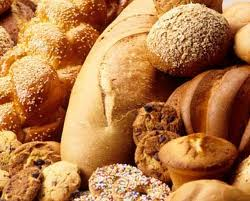 These include a variety of breads, pastas and ready-to-eat cereals. We all know about brown rice, but here are a few of my other favorites: Barley: Roman gladiators ate barley for great strength and stamina. It’s rich, nut-like flavor is the cornerstone of the recipe below. Kasha: This grain is roasted whole-grain buckwheat oats and very common to staple dishes in Eastern Europe throughout the Slavic countries. it is gluten-free, yet very high in protein, B vitamins, phosphorous, potassium, iron and calcium. Millet: Yes, the very bird seed you see in mixes for small songbirds. Very high in protein – 1/2 cup cooked millet provides 4.2 grams of protein, also gluten free and full of niacin, B6, calcium, iron, potassium, magnesium and zinc. Quinoa: Pronounced keen-wa, quinoa isn’t actually a grain, it’s more closely related to leafy greens like spinach and chard. Full of nutritional value including all the essential amino acids and more protein than any of the grains. Visit the following to get expert assistance from Manhattan Tree Services to get rid of the unwanted trees from your backyard and start growing your own food supplies to get the pure organic richness from your garden for your health. Just in time for Valentine’s Day! Introductory price $95. The Home Aromatherapy Starter kit includes generous 15 ml bottles of: Lavender, Tea Tree, Geranium, Eucalyptus, Rosemary, Cedarwood, Mandarin, Peppermint, Marjoram, Lemongrass and Oregano and comes festively packaged in a recycled corrugated trunk with a festive white organza ribbon. Accompanying this kit is our Aromatherapy Beginners Guide to Safe and Simple Use of Essentials Oils for Health and Beauty for the Whole Family. This comprehensive 24-page booklet, fresh off the press, covers information about aromatic plants, extraction methods, how to determine quality essential oils, advice for care of essential oils to maintain freshness and integrity, information on how essential oils interact with the human body and mind and how to use them safely and methods of effective application. Filled with color pictures, the information covers each essential oil specifically, including botanical and historical information and the most recently researched safe aromatherapy use. Click on the following to read about the newly advanced Vaccine Research and Development which are helping to eradicate various diseases and strengthen the overall working system of a human body. There is a recipe section, covering children and elderly considerations, respiratory, mood & psyche, immunity and infections, effective skin care, muscular aches and pains, household cleaning and environmental aromatics, travel and much more. The recipes are specific to the essential oils in the kit. Researched and written by Marcia, our resident aromatherapist with over 20 years formal education and experience using essential oils. This is an excellent gift for the family or individual, sure to serve for many months or up to a year before having to replenish any of the essential oils. All of the essential oils in the kit are available individually and are chosen for both effectiveness and low cost.